“The interest to the event was quite high and we hosted lots of guests at wine tasting. It is another opportunity to introduce Georgian culture along with policy to the politicians and MPs of other countries, to rise the interest to visit Georgia not in capacity of politicians but in capacity of tourists, to be cognizant with the information about our country and be frequent visitors”. According to Irina Pruidze, wine tasting serves for promotion of tourist potential of Georgia. 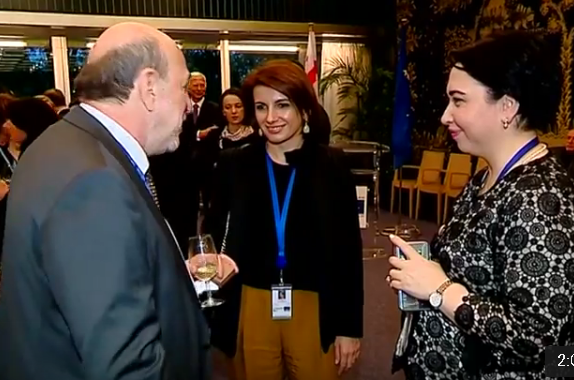 “The reception serves to further promote Georgia to CoE and beyond, to PACE member state MPs. It will further enhance our tourist potential and allow us being better promoted”. The event was visited by PACE President Pedro Agramunt, CoE Monitoring Committee Rapporteur Boris Silevic, Vice Chair of EPP Emanuelis Zingeris, President of PACE Liberal-Democratic Political Group Jordi Xucla and other officials. The event was supported by the Ministry of Agriculture and National Tourism Administration of Georgia.